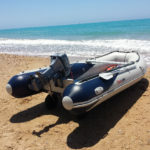 Almost all of our water sports equipment is available to hire. No previous experience is required for kayaks and SUPs though limits will be set based on weather conditions and your ability for your a safety and enjoyment. As we offer tuition in all activities we always have qualified and/or experienced staff on hand to advise and above all safety craft available to offer assistance if required. Wetsuits: We have a huge range of sizes and shapes to hopefully fit all available to rent or buy. Sit-on top Kayaks: We have been hiring and operating kayaks for over 25 years in the islands and have the largest range available in the islands. Stand-Up Paddle boards (SUP): We have 10 years experience of SUP and we are the only BSUPA (British Sup Association) registered teaching school in the islands. We have a large range of boards in different styles for different abilities and uses. Sailing: For the more experienced, why not explore the waters at your own pace in one of our dinghies, day boats, sit-on kayaks or large range of windsurf equipment available for hire. Scilly has some amazing areas to sail and the waters are very safe. However, our waters are tidal and the weather can change quickly, with natural hazards below the water’s surface. Because of this we must ensure our customers are suitably qualified or experienced to use the craft they have chosen. To ensure you manage your craft with safety and confidence, we do have some guidelines in place for the level of competence required to hire our equipment. You can find the details of these under each equipment type. A damage deposit will be asked for prior to the commencement of the hire, this deposit is equivalent to the insurance excess (normally £200) for boats and windsurf equipment or the value of the equipment (£30-£100) for wetsuits and buoyancy aids, etc. Any damage and breakages caused will be charged for.